Hi I'm Karen, I have a BA (Hons) Counselling. I am an experienced Registered MBACP (Accred) Counsellor and Stress Management Counsellor. My Private Practice is based in Esher. I have 25 years experience working in Mental Health. I work with a broad spectrum of relationship issues, anxiety, panic attacks, stress, low self esteem, low mood and confidence issues. These are just a few of the areas I am experienced at working with. I provide a respectful, safe, non-judgemental and confidential environment for you to explore what is troubling you. We can work through life's challenges together. 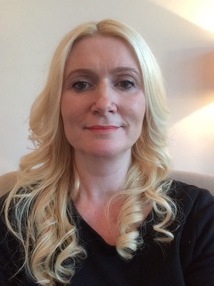 I am there to support and facilitate you to meet your individual needs, and to enhance your wellbeing. We can explore how you can live in a more satisfying and resourceful way, through Counselling, Stress Management and Life Coaching Skills. Sometimes we may need an objective person to talk to. Counselling provides a unique space, where you can dedicate much needed time to yourself. Counselling and Coaching help raise awareness and choice, whilst gaining skills and strategies to support and enhance your wellbeing and life. I will assist you to unlock the answers that lie within you.